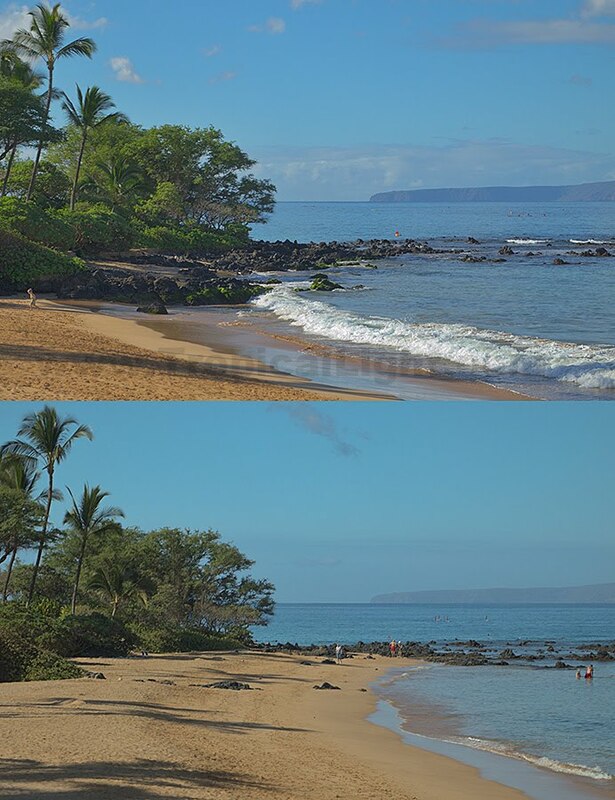 This is why Maui beaches have such nice clean sand. This is the same section of beach and I took these two photos five months apart. You can see that the ocean takes the sand away to scrub it (top, today) then brings it back all shiny new (bottom, last August). Now if only I could get the ocean to clean my house . . . or . . . maybe not.